A creamy peanut lovers dream with a kick of chilli at the end. Easy, tasty and something you just can't stop eating! 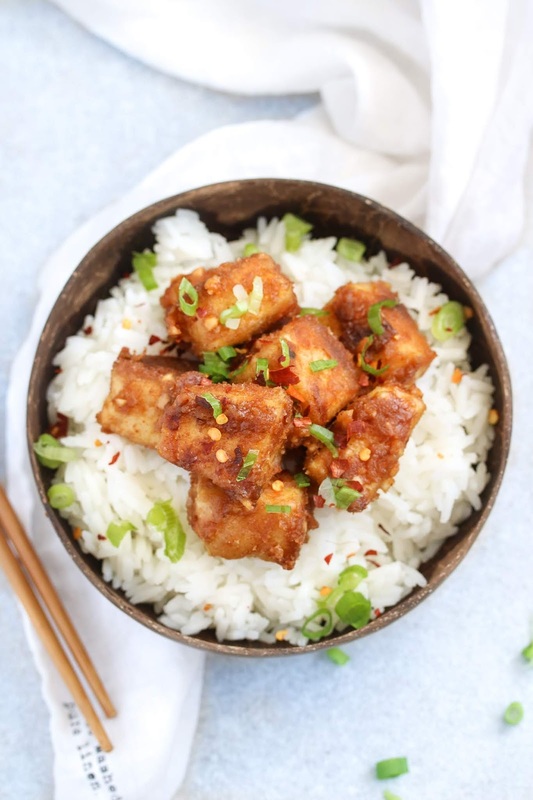 This recipe coats one small packet of extra firm tofu that says it should serve 4 but depending what your eating it with id say it serves 2. Lets dive straight into the recipe, keeping everything simple of course you could use fresh chilli depends how spicy you like it. Coat the tofu in corn four and either roast in the oven for 20 minutes until puffed up with a little oil (180 degrees celsius) Or fry in frying pan for 10 minutes to get a nice crisp outer part. Mix all sauce ingredients together and add to the tofu. If your doing the oven method add to a pan and coat tofu in sauce should only take a few minutes to thicken and go sticky.